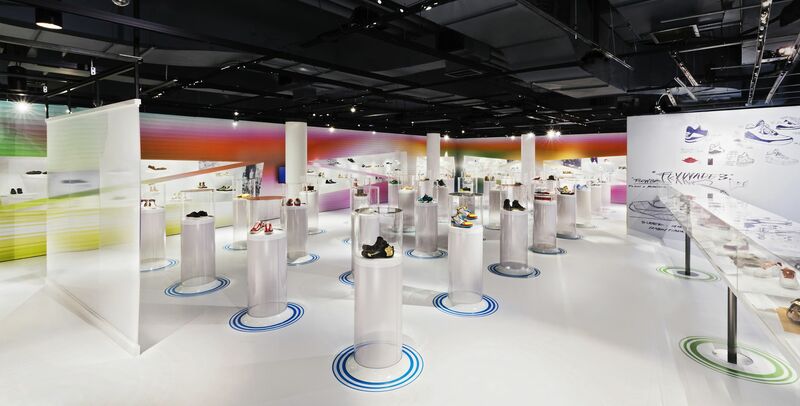 Earlier this year, Toronto-based Eventscape engineered, fabricated and installed ‘Out of the Box: The Rise of Sneaker Culture,’ a custom exhibit designed by Karim Rashid for the Bata Shoe Museum, also in Toronto. Documenting the history of sneakers from the late 1800s to today, the exhibition includes an acrylic entrance screen, 32 translucent acrylic display pedestals, a free-standing 12.2-m (40-ft) long display case, five inset wall displays and flooring, all decorated with printed graphics. 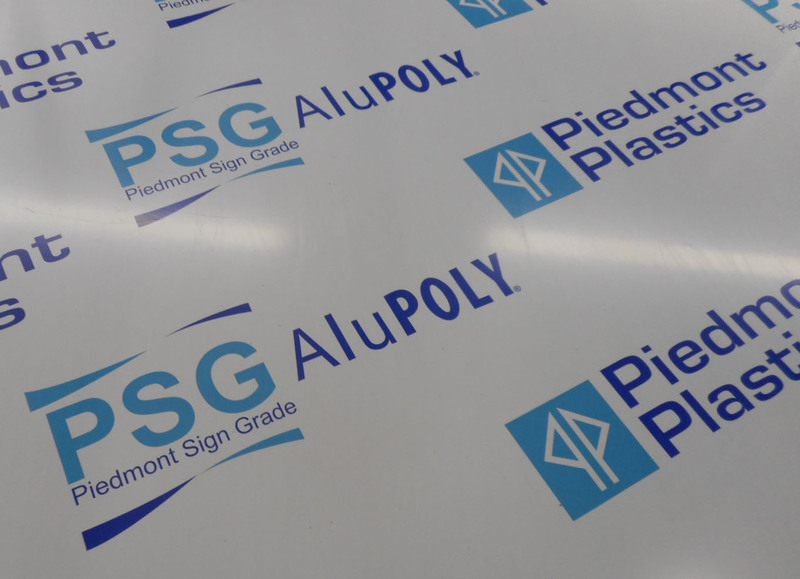 The lower portion of each pedestal was fabricated from heat-formed, impact-resistant polyethylene terephtalate glycol-modified (PET-G) co-polyester sheets, so even with no visible internal structure, they were able to protect the rare artifacts. A printed graphic was applied to the interior of each pedestal with a fading gradient pattern from white to transparent, creating the illusion of the shoes ‘hovering’ within light, airy tubes. Each base flange was shaped in spun aluminum and powdercoated to match the floor finish. With all of the fastening hardware hidden (or at least low-profile), the seamless transitions made it appear as though the pedestal bases were extensions of the floor surface. 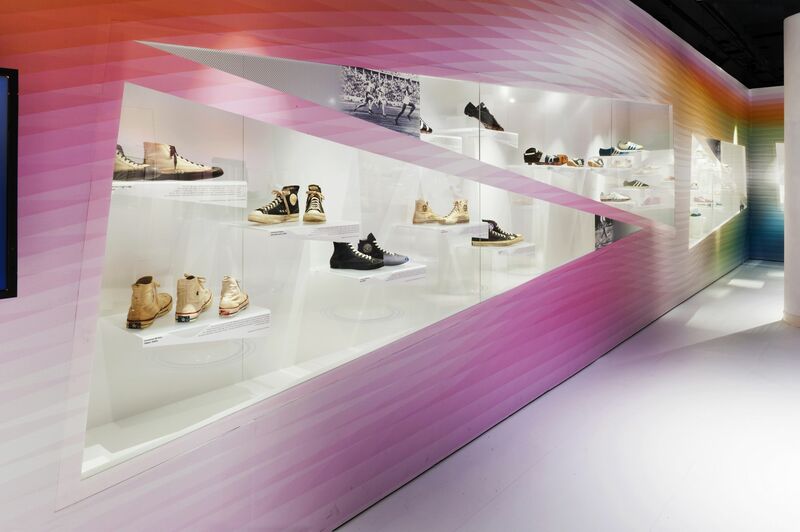 The display case was decorated with large-format printed graphics to depict the original conceptual design sketches for Nike sneakers. With an integrated internal structure, the case could span its full length with minimal vertical supports. 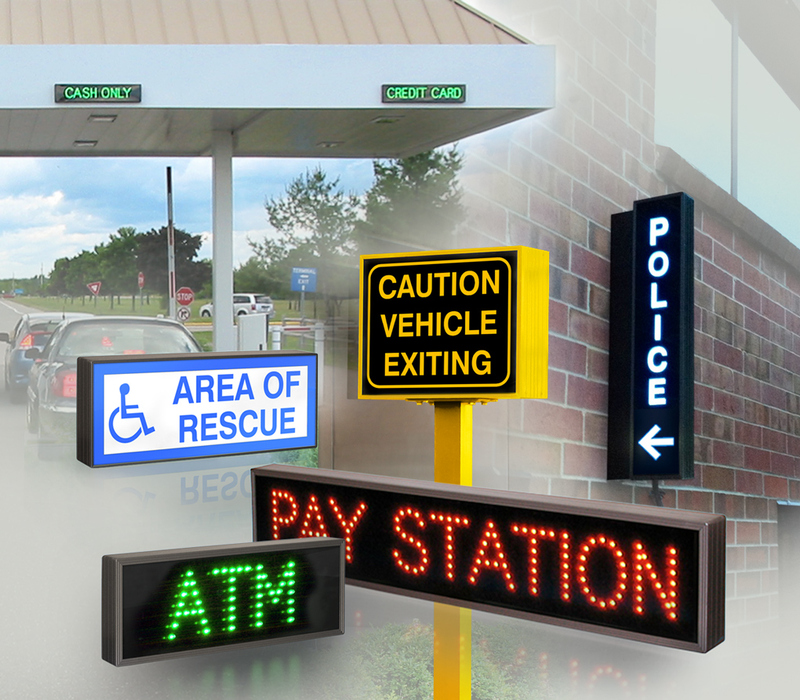 The facing walls incorporated prefabricated millwork assemblies, translucent display shelves and fibre optic lighting sealed behind frameless clear acrylic panels with a decorative printed graphic finish. 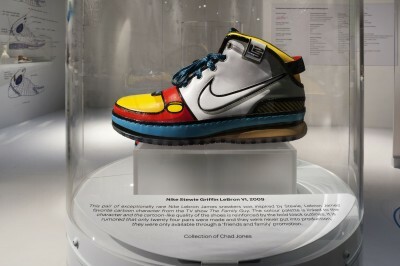 The year-long exhibit opened in mid-April, showcasing rare, iconic and limited-edition sneakers from throughout history.